CROSTA G. & GARZONIO C.A. Subsidence phenomena, especially in mining districts with high extraction ratio and more surficial working, can play a major role in activating slope instability processes. In fact, subsidence can improve the action of gravity increasing the state of stress within an overlying hillslope. In the literature very few papers have been published about this problem. 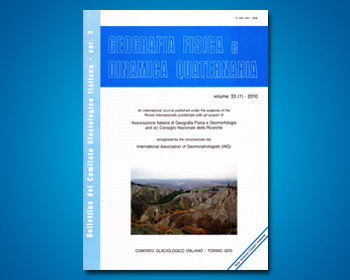 In this work it is presented a case history from Gavorrano, an old pyrite mine within the Metalliferous Hills Mining District (Tuscany, Italy). A huge subsidence phenomenon, interesting a hillslope, has been able to trigger an important slope instability process mainly by accentuating some possible natural instabilities. Field work, both at the surface and within the mine tunnels, allowed the geological and the rock mass characterization. The collected data have been successively employied to perform some simplified numerical simulations (by the distinct element method) to help in a better understanding of the phenomenon and in deciding about possible deep seatedness of the induced slope instability and the role of the mining protracted for almost a century.